Frank de Boer has been confirmed as the new Crystal Palace manager on a three-year contract. The former Ajax and Inter Milan boss, becomes the club’s eighth manager in seven years and replaces Sam Allardyce, who left at the end of last season. “I am thrilled to be appointed as manager of Crystal Palace Football Club,” he told the club’s official website. “It is a great honour to take charge of such an historic club, a club that is known around the world for its hugely proud and passionate fan base. 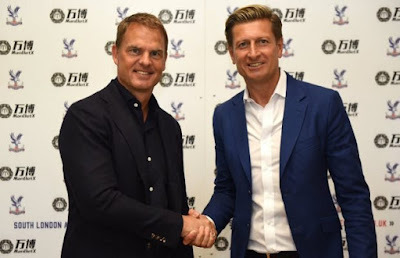 Palace chairman Steve Parish added: “We have undertaken a thorough interview process to ensure we are in a position to appoint a manager of the calibre and experience that Frank brings with him.